Romani Restaurant in San Francisco. 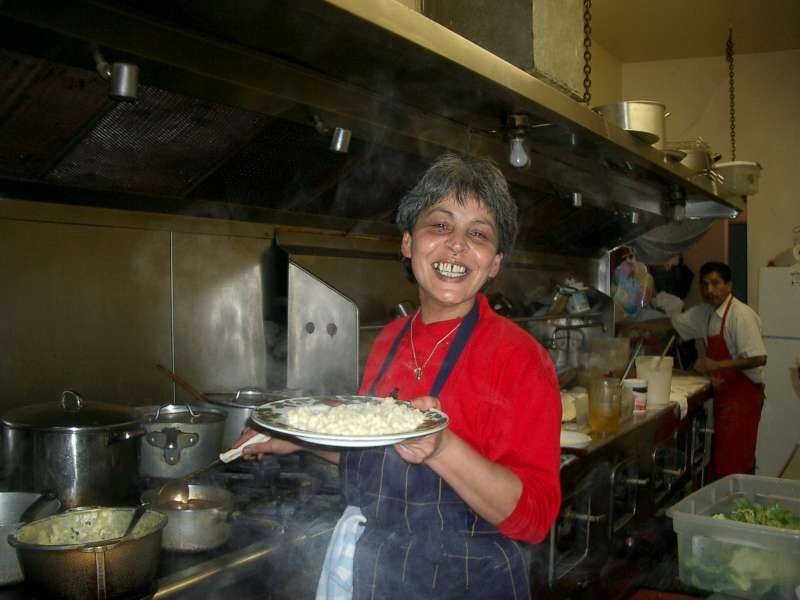 The owner and chef of this restaurant comes from Hungary, where she was a teacher. She dances a mean csardas (San Francisco, 2003). Opera Singers. 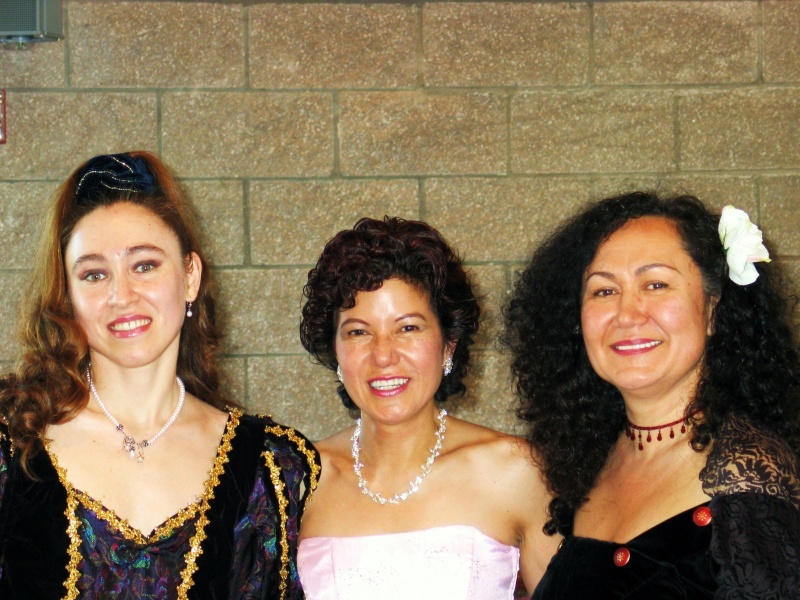 In California, no one stops to wonder how a Romani woman got into classical singing (2005). Baptism, Slightly Belated. 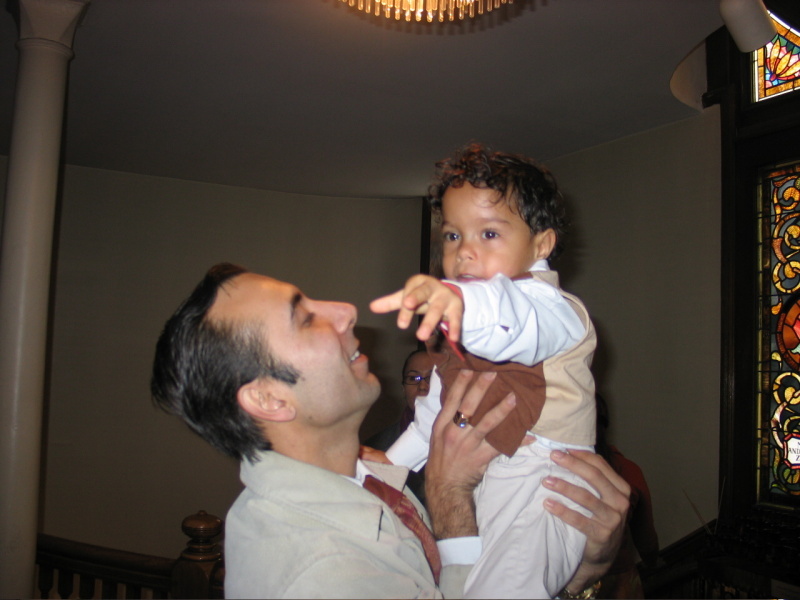 The author's son and his godfather, the Romani seven-string guitarist Vadim Kolpakov, who is originally from Saratov, Russia (Boston, 2006).